Brown Brown: Welcome, Ann Rose Johnson!! This is Ann Rose Johnson. 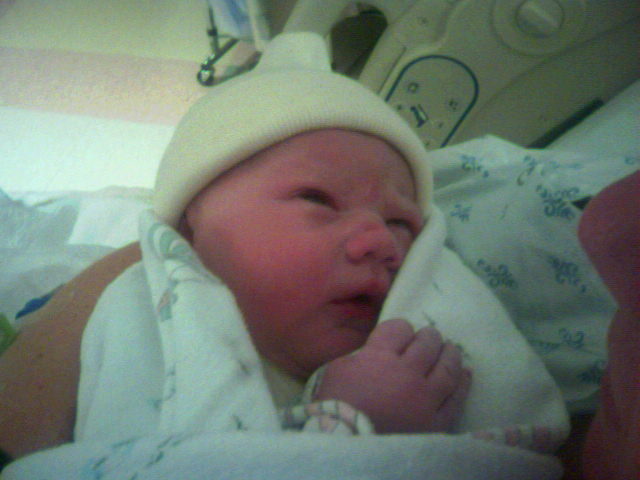 She was born today at around 2:30PM EST in Kansas City, Missouri. She is 7lbs 13oz and 20.5 inches long. Ann is a cutie. My Buddy Matt is now a Daddy, and Bernie a Mommy. Woohoo! Both Mommy and kiddo are doing well.